She might be stern on stage as Mother Superior in the national tour of Sister Act, but off stage, Hollis Resnik likes to burn the floor and has a mean backswing. We asked the actress what her tips are to mastering life on tour in a big Broadway show. Aferall, she’s had plenty of experience, touring in Les Miserables, Dirty Rotten Scoundrels and Thoroughly Modern Millie. Check out what Resnik had to say about her passion for Latin dance and fitting as many pairs of shoes as she can into her suitcase. 1. A tennis racquet. I am an avid tennis player and have played in clubs all over the country. 2. Tango shoes. A year ago I took up Argentine tango. I am obsessed, so I find lessons to attend on the road and I get to meet new friends. 5. A jar of Soynut Butter. It’s a great snack! Roll your clothes when you pack; don’t stack them. It saves room and your clothes don’t get wrinkled. This also means I can fit extra tango dresses and shoes! See if the window opens. Locate where the theater is. When I get to a new city, I always like to stroll around and get my bearings. I like to get a feel for the walk to the theater and how safe and comfortable I feel. Gym, tennis and tango. I love to work out and enjoy my hobbies. I am very independent and enjoy meeting new people all the time. 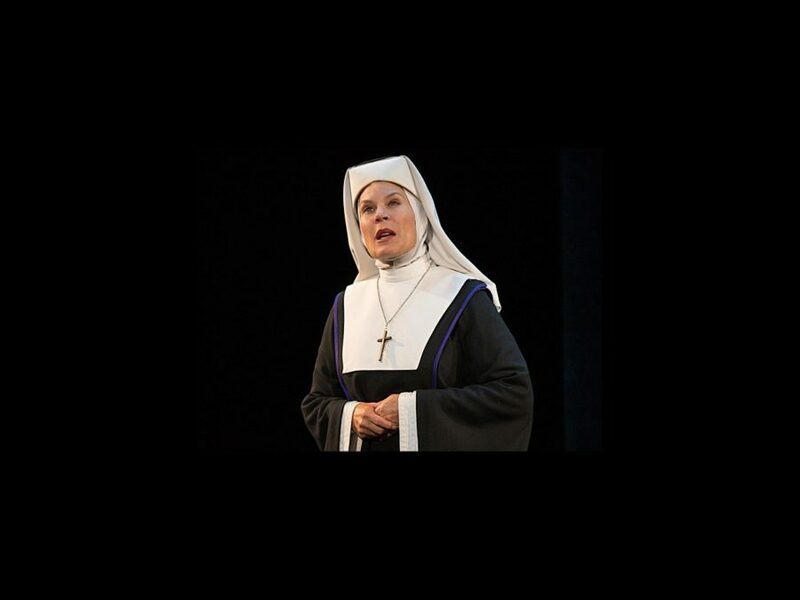 See Hollis Resnik in Sister Act at the Boston Opera House from January 22 through February 3.